With the warm weather here to stay, many families are hitting the road for a weekend away or even an extended road trip. The great thing about these types of vacations is that they are often very pet friendly, meaning your favorite furry friend can join in on the fun. But how do you bring your pet on vacation if they are terrified of car rides? To ensure that everyone can enjoy the vacation, we’ve put together a list of tried and true tips for teaching your pet to enjoy car rides. 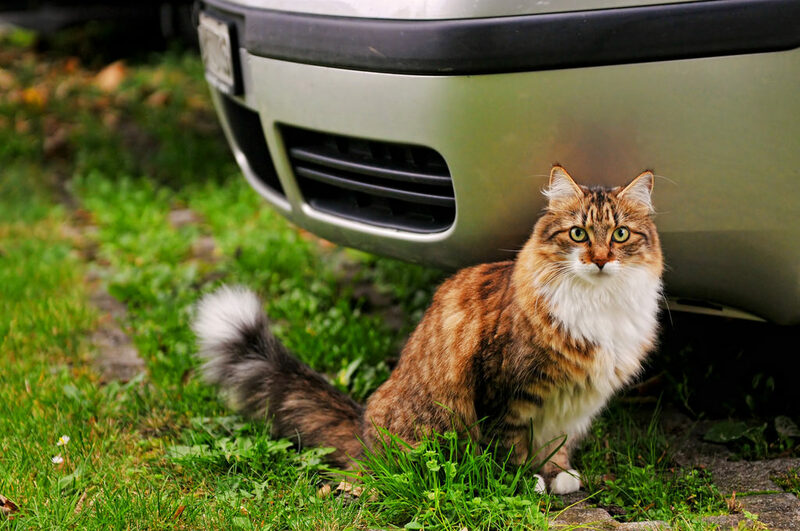 If your pet becomes anxious when in a vehicle, it’s important that you begin to create positive associations with cars. This nervousness isn’t surprising, as many pet’s associate rides in the car with negative outcomes, such as a trip to the vet. Fortunately, it’s fairly simple to shift to more positive associations. Begin by teaching your pet to be comfortable in their crate in a non-moving car. To do this, simply follow your normal crate routine, but have the crate inside the car. 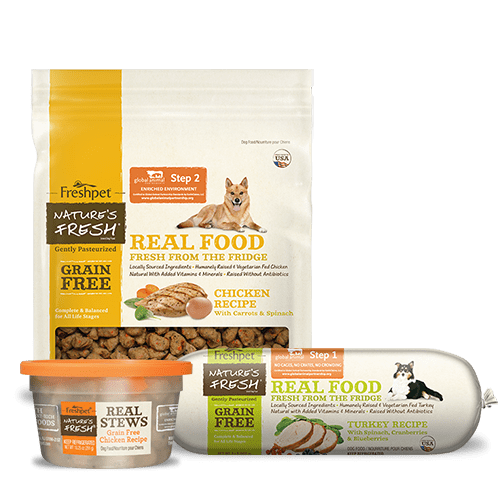 To make this experience as positive as possible, offer them plenty of their favorite Freshpet food or treats, especially when they are displaying calm behavior. 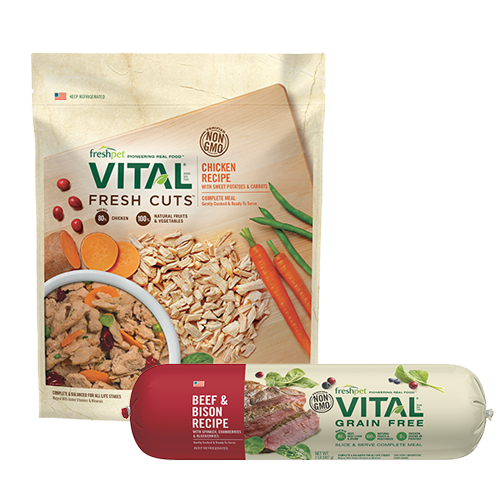 Consider trying Freshpet Dognation natural beef dog treats. Once your pet is comfortable being in the car when it is turned off, the next step is to have them in their crate in the car with the engine running. 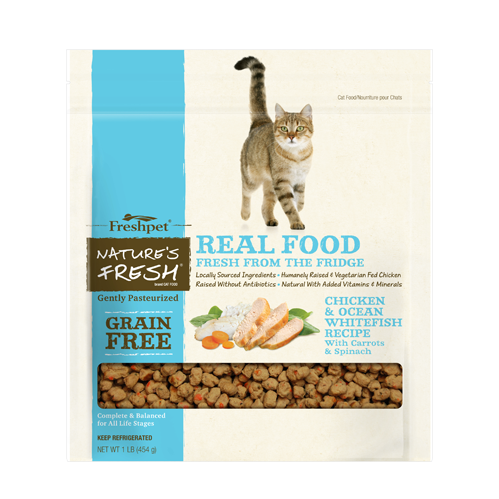 Again, reward positive behavior with some delicious Freshpet treats during this new stage to increase their comfort and build those positive moments. Now it’s time to start driving! At this stage it’s important to go slow and not try to rush the process. The best thing you can do is to take them on short trips to places they enjoy or simply around the neighborhood before returning home. 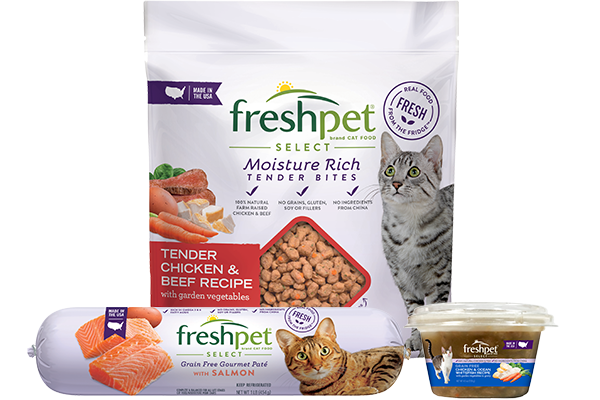 Throughout the car ride, continue to offer your pet their Freshpet treats to reward their good behavior. 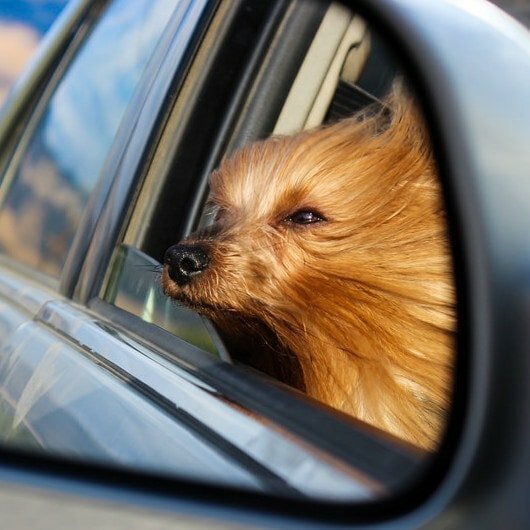 By removing the negative associations of car rides, your pet will continue to strengthen their increasingly positive associations with car rides. 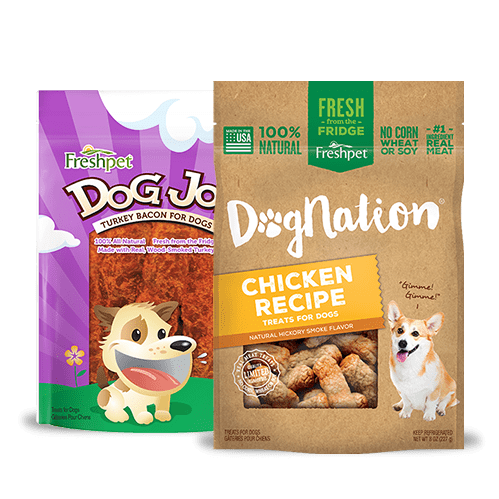 Over time, your pet will begin to look forward to trips in the car, as they know that cars equal yummy treats and visits to their favorite places. While these steps are great for pets that are nervous in cars, if your pet’s car anxiety is linked to motion sickness they may not be as beneficial. In these cases, slowing training your pet to become more comfortable in the car may not be helpful as it likely won’t alleviate their motion sickness. For pets that fall in this category, the first thing you should do it talk to your veterinarian. Since motion sickness is quite common with animals your vet will be able to offer suggestions of medication or natural remedies to help deal with it. 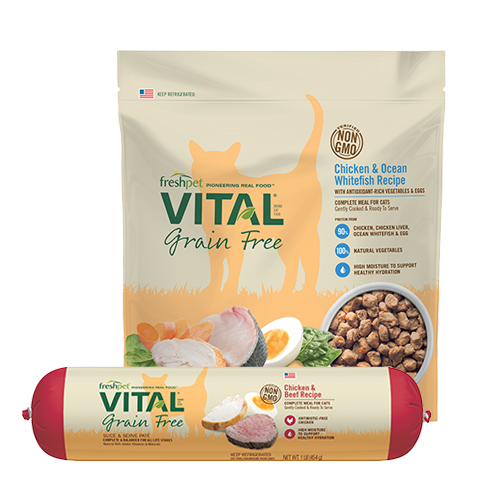 Regardless of the recommendations your vet gives about reducing motion sickness on the road, it’s still a good idea to limit your pet’s food and water intake a few hours before the car ride as an extra precaution. 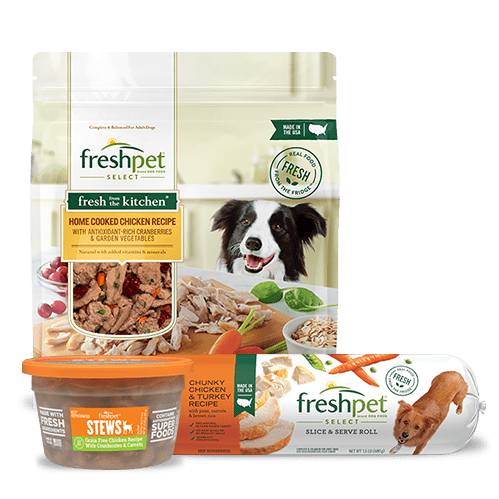 With a little patience and a well-stocked supply of Freshpet food and treats, there’s no reason why your pet can’t learn to love their time in the car. Just think of all the adventures you and your four-legged friend can enjoy this summer season!